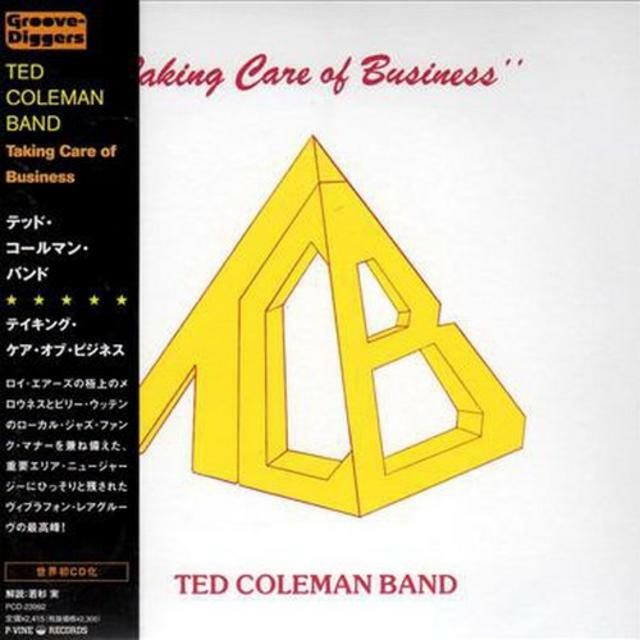 Heavily influenced by the likes of Bobby Hutcherson and Roy Ayers, ‘Taking Care Of Business’ is full of positive, uptempo soul/jazz gems, featuring Ted Coleman’s wonderful vibraphone playing throughout. Not only did Coleman both sing and play piano, synth and vibes on the record, but he also designed the artwork himself; a true DIY LP if ever there was one. This DIY ethos even extended to the New Jersey label JSR who originally pressed the LP, describing themselves as: “a new company that helps working club bands that can sell their own records. JSR artists spend no money for recording or production costs, and there are no recording contracts.” This could well explain the album’s rarity, with original copies selling on Discogs for eye-wateringly high prices. Ted Coleman cut his teeth playing local clubs and venues in his hometown of Pittsburgh, where his skills on vibes and mallet percussion quickly earned him popularity in the local area. ‘Taking Care Of Business’ was his very first studio album, blending latin rhythms with smooth jazz and soul stylings. The musicianship on the record is striking, the vocals mellow and soulful, the lyrics warm and tender: put simply this album is designed to warm the heart. Still writing and recording at ‘Joyful Noise’, his Metuchen New Jersey studio, Ted Coleman also performs across the US with his “Good Vibes” band.